Gas Networks Ireland sponsors Cooperation Ireland’s Youth Leadership Programme that helps to build positive futures for young people who have the potential to be leaders in their communities. The partnership has existed for five years, commencing in Cork in 2015, with expansion to Dublin in 2017. We are currently midway through our second three year partnership with the charity, which runs from 2017-2020. Co-operation Ireland is an all-island peace-building charity whose goal is to encourage interaction between the Republic of Ireland and Northern Ireland. Now more than ever, dialogue and collaboration between communities north and south of the border is essential. The Youth Leadership Programme encourages the personal development of participants through sport, engaging with their peers in Ireland and Northern Ireland, and becoming actively involved in their communities. The participants apply their learnings to community activity and undertake a social action project before graduating each summer. Since the programme started in 2013, approximately 200 young people have taken part and benefitted from the programme. Those who participated in the programme demonstrated increased interest in their own personal development, increased numbers of participants returned to education or employment, participants showed a great willingness to engage with others in society, and there was reduced levels of anti-social behaviour and substance abuse. 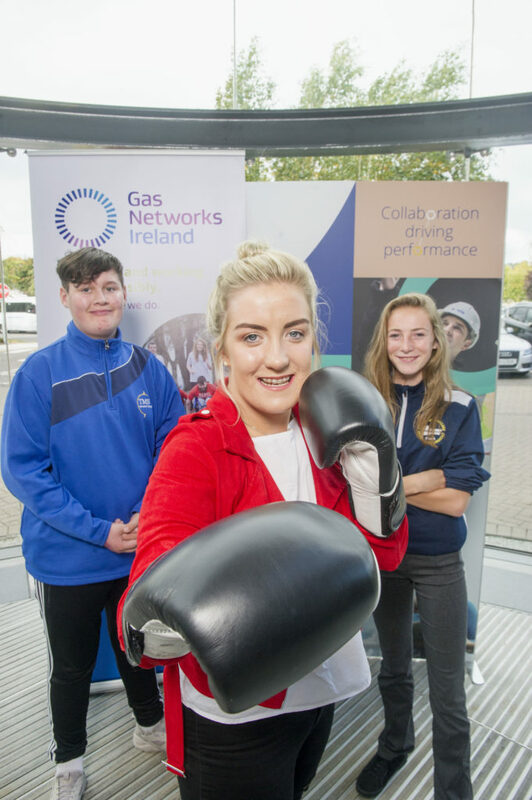 The 2018/2019 Cork programme was launched in Gas Networks Ireland headquarters, with boxer Christina Desmond speaking to the group about leadership and the power of sport to shape your future. In 2019, for the first time, participants will take part in a social action project workshop in Gas Networks Ireland. Volunteers from Gas Networks Ireland will speak to the group about the work they do on a daily basis that benefits the community and the environment, and their passion for volunteering. Volunteers will also mentor the group on presentation skills in advance of their social action project presentation at their graduation in the summer. IMAGE: Cork boxer Christina Desmond, with Aisling Savage from Cobh Community College and Jack Byrd from Terence MacSwiney Community School, Knocknaheeny.